Almost exactly a year ago, the blog AppleInsider revealed concept drawings of an iWatch, a wearable device rumoured to be in development by Apple. Pundits and tech enthusiasts had been gossiping about the iWatch since at least 2010, but for years its very existence had been hypothetical. Information about the project had come in abundant supply and scant substance. The real secret sauce is in how the iWatch will interface with every other device in the Apple panoply. Until now. 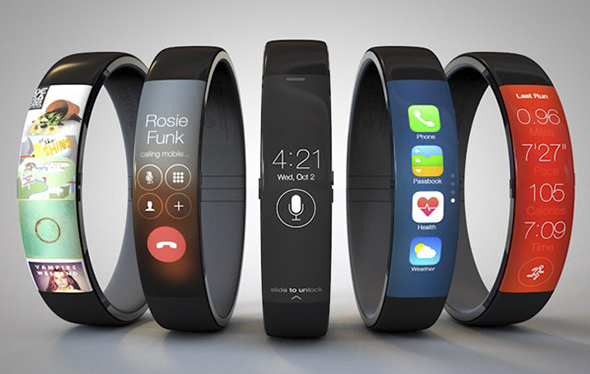 Rumors of the iWatch’s impending release have rekindled the attentions of fans and skeptics alike. Yet most of today’s speculative renderings are a lot more mundane than last year’s. They show something a lot more watch-like: a curved screen, or maybe even a flat screen, mounted to, or embedded in, a fixed-width band. 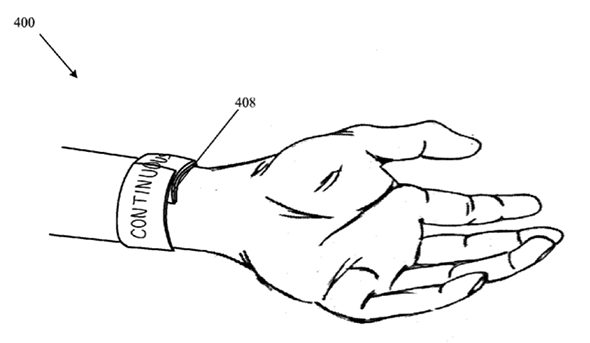 There is no shortage of theoretical mock-ups—and, while some of them are visually impressive, none of them captures the vaguely science-fiction essence of the one seen in the patent application. Gone are the continuous screen flow and the full-band display, the ostensible raisons d’être of the patent. In their place are more practical features: buttons, edges, and clips. But it would make little sense for Apple to release a new device—especially a device that might cannibalise iPhone and iPod sales—if it’s not going to break the mold. The idealistic view of Apple’s consumer-product strategy is that it needs to shatter consumers’ expectations with every new device in its lineup. The skeptical view is that Apple, being a hardware company, needs to keep inventing new categories to make up for the declining profit margins of its older ones. In either view, Apple loses by rushing a product to market that bears little functional difference from the unimpressive Samsung Galaxy Gear. Consumers didn’t storm retailers’ doors to buy the Galaxy Gear, despite the market-leading penetration of the Android platform. And they won’t camp out in line to buy an iWatch that’s little more than a Nike FuelBand running iPhone software. One factor in why we haven’t seen the iWatch sooner is that it didn’t have an ecosystem. The platform surrounding any wearable device—all the ancillary devices, hubs, locations, cloud-based data sources, and Wi-Fi-enabled media streaming—is more important than the wearable itself. This is why Google Glass, aside from the dorky design, underwhelmed many of its testers during the past year: The lack of anything to do with Glass, beyond taking pictures and voice-commanding Google search on the go, was its biggest weakness. The apps, not the device, are what really matter.